Frederick Childe Hassam was born in 1859 in Dorchester, a small suburb of Boston. Here Hassam experienced a pleasurable mid-century upbringing until his father, Frederick Fitch Hassam underwent a financial collapse with his merchant business. This forced Hassam to leave high school at age 17 in search of employment. He first found himself doing financial work for Little Brown and Co Publishing. Quickly, Hassam realized that finance was not his calling. He was let go, and advised by his supervisor to consider a career in arts since he spent all of his time drawing. As one door closed the rest of the world opened for Hassam. He began working for George E. Johnson, a wood engraver in Boston. 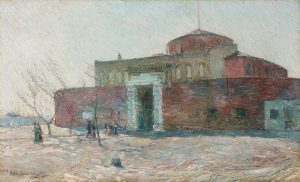 In 1882, after two years of training, Hassam moved to Boston and began exhibiting his artwork. In 1883, Hassam met Celia Thaxter, who became an important and influential friend and mentor. Thaxter suggested Hassam neglect his first name of Frederick, and go by his middle name of Childe. 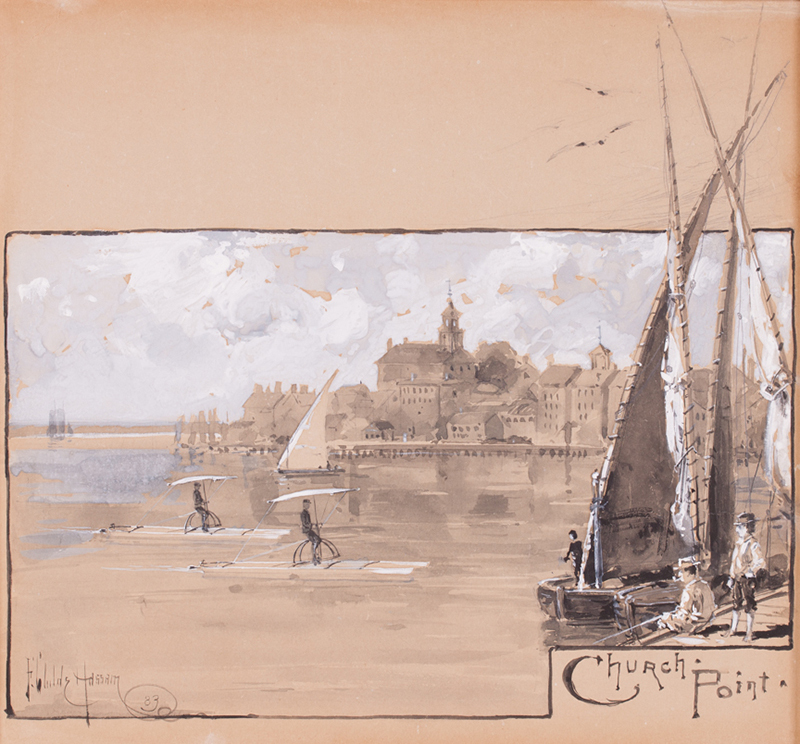 Hassam made frequent visits to Thaxter's estate on Appledore Island in Maine. 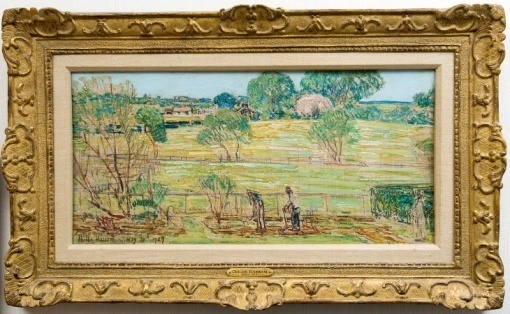 Hassam painted extensively from Thaxter's garden in the plein air style throughout his career. Hassam's desire for further education and experience resulted in multiple trips to Europe. The French Barbizon school painters were of great influence. Source: Adelson, Warren, Jay E. Cantor, and William H. Gerdts. Childe Hassam: Impressionist. New York: Abbeville Publishing Group, 1999.